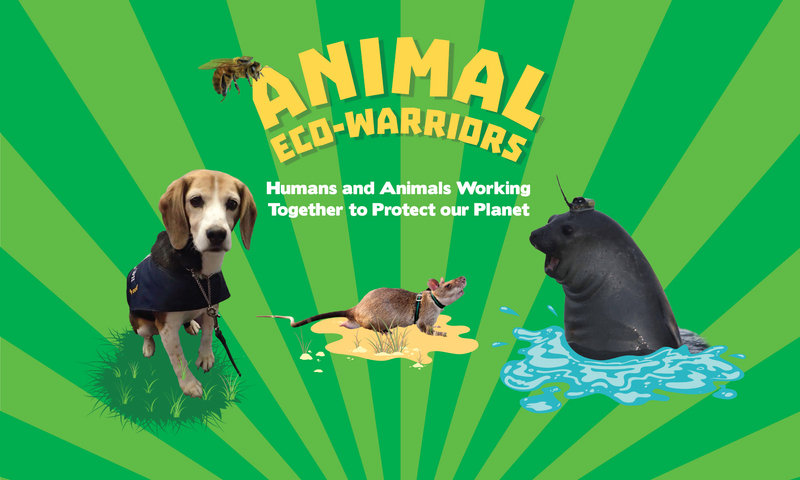 February 27th 2018 – Animal Eco-Warriors is one of the Children’s Book Councils of Australia’s Notable Books! There are lots of truly fabulous books on the Notables list – you can have a read about all of them here. Sunday 17th September – Come and see me and BTG at the Tasmanian Writers and Readers Festival! Australia’s best selling humorist, Bradley Trevor Greive AM is back in Tassie, and together, we’ll be running a workshop for families as part of the fabulous Tasmanian Writers and Readers Festival, which kicks off tomorrow in Hobart. Our workshop will run from 10AM til 11AM, and there will be prizes for the best animal costume. There will be music, drawing, and quite possibly, rogue marine mammals in need of capturing! Click here for more details and to book tickets to this event – it would be lovely to see some of you there! June 8th 2017 – Animal Eco-Warriors was officially launched at Fullers Bookshop, Hobart – woot! The launch started pleasantly enough. Bonnie the beagle from Biosecurity Tasmania came along with her handler Rhonda Hall, who talked to the crowd about the varied life of an airport sniffer dog. Bonnie has been having a tough time accepting her impending retirement – she frisked several book launch attendees for apples on their way into the store. Everything was going quite smoothly. Until the elephant seal appeared. Fortunately, Dr Clive McMahon of IMOS was prepared for the beach master! Using only his wiles and a handy coffee bean sack, he subdued the struggling elephant seal! Once the elephant seal had been banished back to its smelly abode, we got down to the tricky business of book signing. For those of us with opposable thumbs, this was fairly straightforward. But for many of the book’s stars, like Bonnie, signing books was a little inkier. Hamish, hero rabbit detection dog of Macquarie Island, signed books with the assistance of Parks’ Keith Springer – both of them have impeccable manners and one of them really likes tennis balls. However, some of the books’ stars were mostly there for the dog treats. Tama the biosecurity rodent terrier allowed owner Dr Sally Bryant to assist him with his signing duties, but made sure to get his share of deluxe dog treats along the way! Despite the hardships involved, the dog-stars worked hard to ensure that no book was left un-improved by their inky paw prints! Thanks to all the dogs, their owners and handlers for making the Animal Eco-Warriors launch a fabulous success! Nic will be appearing at the Northern Territory Writers Festival in Alice Springs, working with local writer and ecologist Meg Mooney to teach workshops on nature and environmental writing. She’ll also be working with the local Centralian Middle School, working with students to transform their observations of Alice Springs Desert Park’s fabulous fauna into creative writing pieces.